Over the last decade, in vitro models have become more sophisticated and are at a stage where they can provide an effective alternative to in vivo experiments. 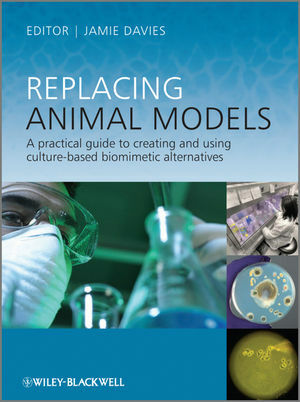 Replacing Animal Models provides scientists and technicians with a practical, integrated guide to developing culture-based alternatives to in vivo experiments. The book is neither political nor polemical: it is technical, illustrating by example how alternatives can be developed and used and providing useful advice on developing others. After looking at the reasons for and potential benefits of alternatives to animal experiments, the book covers a range of methods and examples emphasising the design considerations that went into each system. The chapters also include 'case studies' that illustrate the ways in which culture models can be used to answer a range of important biological questions of direct relevance to human development, physiology, disease and healing. The thesis of this book is not that all animal experimentation can be replaced, now or in the near future, by equally effective or superior alternatives. Rather, the premise is that there is substantial opportunity, here and now, to do some common types of experiment better in vitro than in vivo, and that doing so will result in both scientific and ethical gains. Professor Jamie A. Davies, Centre for Integrative Physiology, Hugh Robson Building, George Square, University of Edinburgh, Edinburgh.